I'm going to go out on a limb and say the Harper government doesn't want attention drawn to the deal it just signed with China. Why? Because after two years of delays, the official announcement of an investor-protection treaty with the world's second-largest economy came in the form of a press release late Friday afternoon. That's how you release information if the idea is to bury it. Not to mention the two years of delays to begin with. 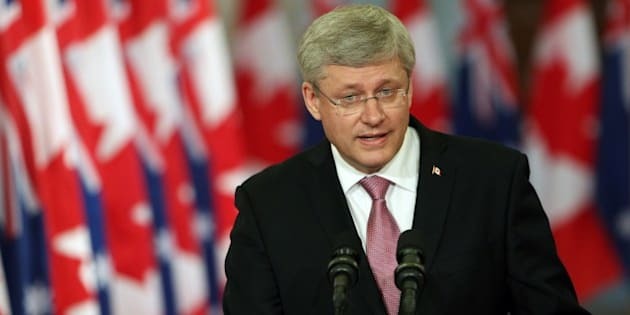 Harper made the surprise announcement of a Canada-China Foreign Investment Promotion and Protection Agreement, as it's known, on a trade mission to Vladivostok, Russia, in 2012. China finalized the deal quickly, but Canada sat on it. The holdup may have had to do with that fact that even some members of Prime Minister Stephen Harper's own government had doubts about the deal. And CBC suggests Harper signed the deal because of an upcoming photo op in Beijing. But then Canadian leaders sign these sorts of deals all the time — Canada already has 17 of these types of investor-protection treaties in place, and is negotiating a dozen more.